BEIJING — The top U.S. diplomat overseeing arms sales said Monday she would be promoting American weaponry at the largest air show in Asia, where China's military footprint and political influence are surging. 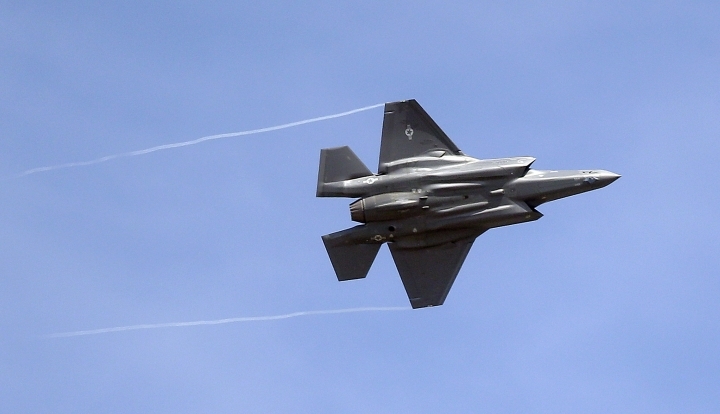 A large U.S. delegation at the Singapore Air Show is doing "everything we can" to encourage Southeast Asian governments to purchase U.S.-made arms like the F-35 fighter jet, Ambassador Tina Kaidanow told reporters in a telephone briefing. She repeatedly sought to dispel the notion that U.S. influence was in retreat. The Trump administration in December outlined a new national security strategy that placed an emphasis on countering China's rise. The strategy calls for reinforcing the U.S. presence in the Indo-Pacific region, where Beijing and Washington have accused each other of stoking a dangerous military buildup while vying for influence. Washington has been seeking to woo countries like Vietnam, a former foe, with arms sales and transfers at a time when China has bolstered its territorial claims in the South China Sea with extensive construction projects on man-made islands. Kaidanow said the transfer last year of a coast guard cutter to Vietnam, which often contests China's maritime claims, was an "incredible positive." "They will be able to use our equipment for maritime domain awareness, for maritime security ... that's important for them," said Kaidanow, who visited Hanoi last week shortly after U.S. Defense Secretary Jim Mattis, on a visit to Vietnam, announced plans to send an aircraft carrier to the country in a show of solidarity. "Our hope is they will consider American companies (not only) in defense but in other sectors as well," Kaidanow said, referring to Vietnam. China's assertive military posture in the South China Sea has concerned several Southeast Asian countries with rival territorial claims, but Beijing, wary of being encircled by a U.S.-led alliance, has at the same time offered infrastructure investment across the region as a way of winning friends. China has shipped weapons to countries like the Philippines, which once decried China's maritime claims but has recently drawn closer to Beijing. Kaidanow said she will meet with officials from Japan, Canada and several Southeast Asian countries to discuss arms purchases at the trade show in the coming days and argued that Southeast Asian countries should consider purchasing U.S. arms "not just as a matter of security but also regional balance." U.S. warships will maintain their freedom-of-navigation operations in South China Sea waters claimed by China, she said, adding: "We will absolutely continue the pace." China condemns the U.S. operations as "reckless" provocations that raise the risk of military confrontation between the two powers. China strongly protested in January when the USS Hopper destroyer sailed within 12 nautical miles of Scarborough Shoal, which China disputes with the Philippines. In the aftermath, Chinese state media referred to the incident to argue that China should speed up its deployments in the busy waterway, where it has built hangers, runways and military infrastructure.